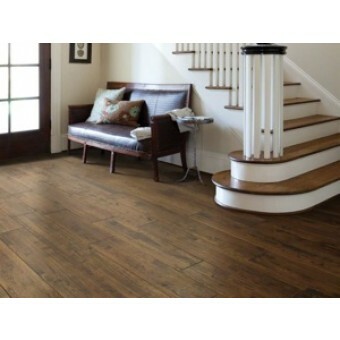 Both beautiful and green, Rio Grande offers an 8" hickory plank made from 100% recycled wood. High-pressure fusion creates great structural strength, which allows this style's popular wide width. 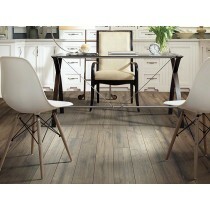 Its stunning character comes from both heavy and subtle scraping combined with a desirable low-gloss / matte finish. The result is not only rustic but extremely elegant—heightened by the stylish palette of 4 natural, earthy browns with greyed-down tones.